I’m a member of the Chick-Fil-A mom panel and got to try some tortilla soup for free. Lucky me, right? Opinions and craft idea are mine. 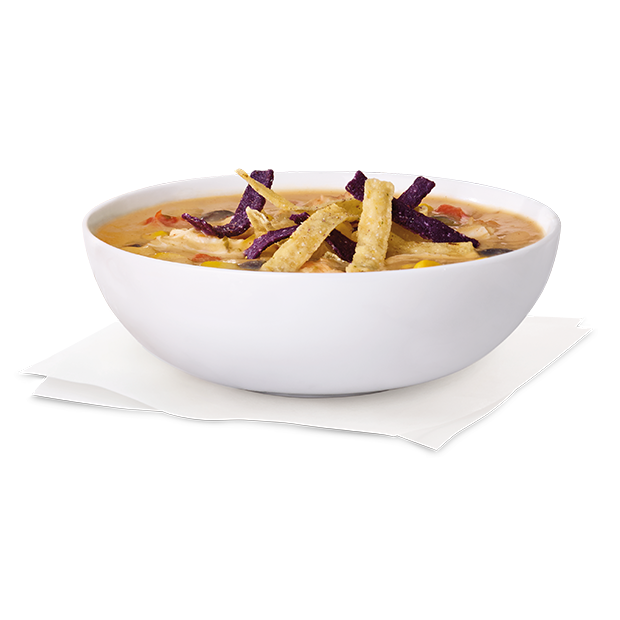 What do you do when you’re given the challenge to upcycle a Chick-Fil-A tortilla soup bowl? Well, first you enjoy that tortilla soup of course! 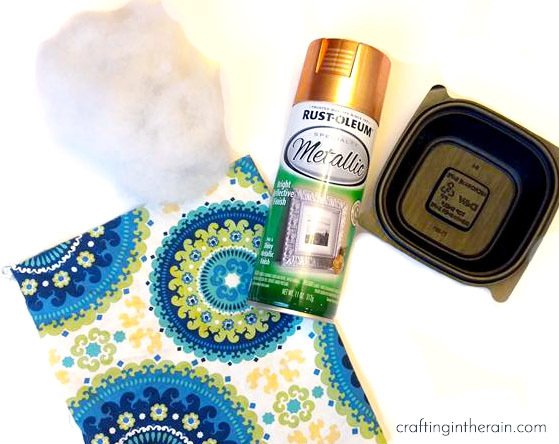 And then you get crafty with spray paint and fabric. I decided to turn mine into a cute pin cushion. Isn’t it cute? 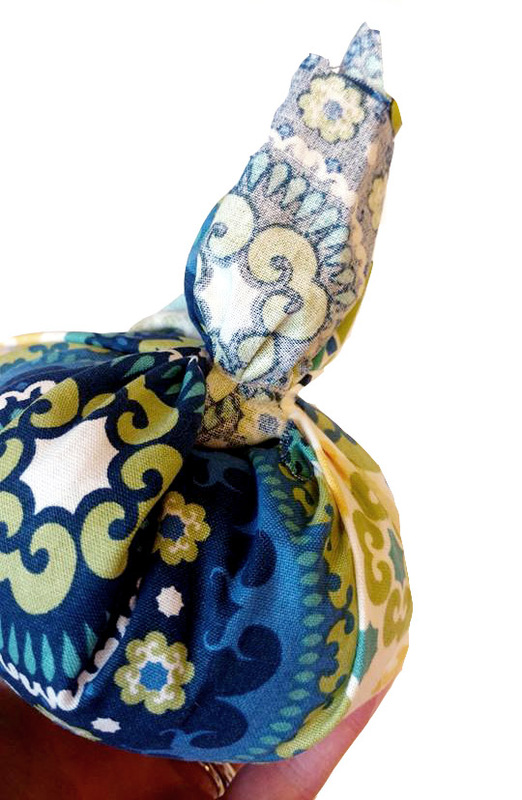 Here’s how you can make one too. Trim the tabs off the corners of the bowl. 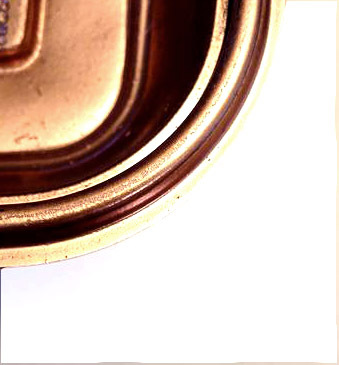 Spray paint with two light coats of paint and let dry completely. 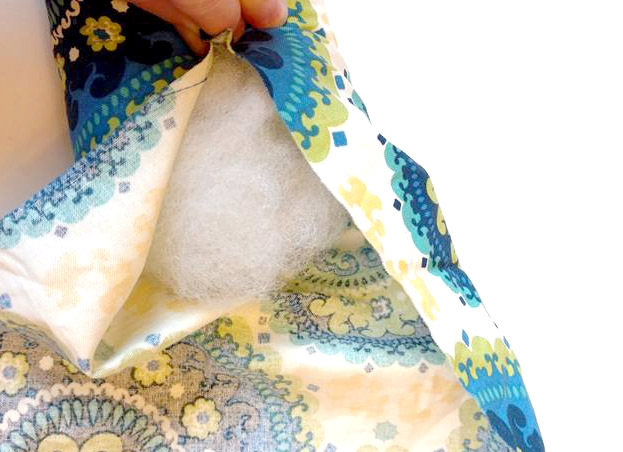 Wrap fabric tightly around fabric and secure with a small rubber band. 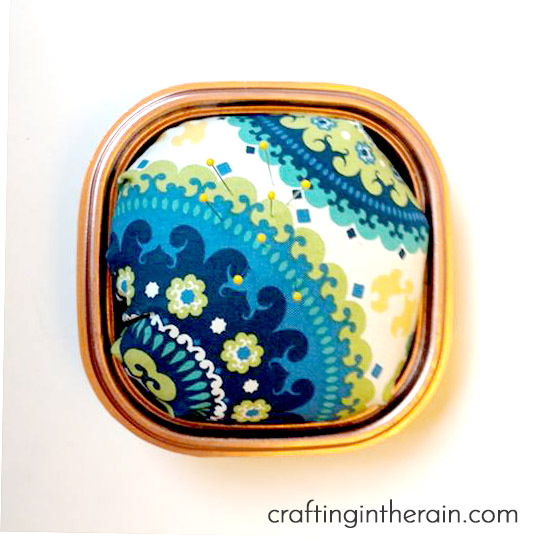 Apply a bunch of hot glue inside the bowl and press the fabric down into the bowl, rubber band side down. Hold while the glue cools. 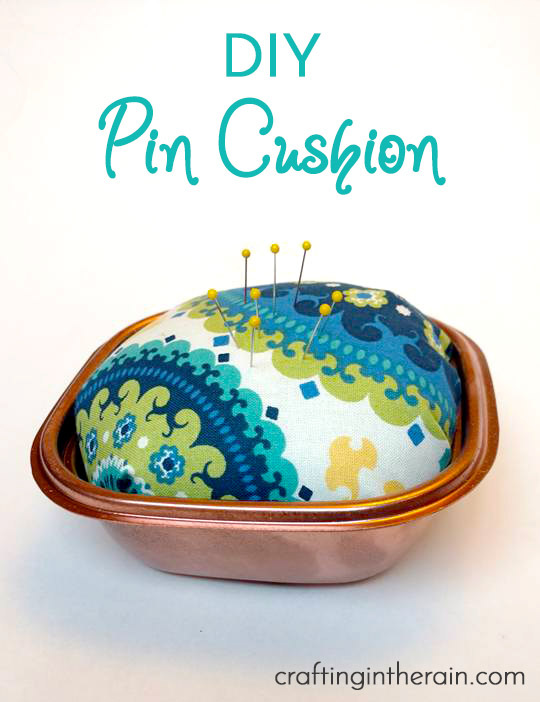 What do you think of this DIY pin cushion? Will you make your own? What colors would you use? 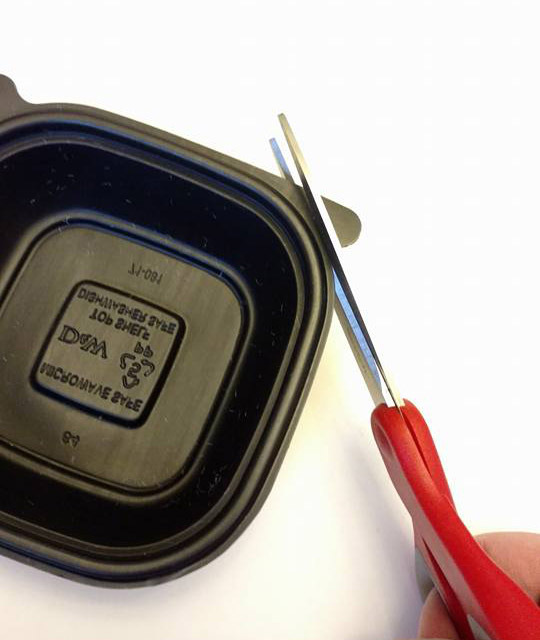 Search the hashtag #chickfilaMomsDIY on social media for more creative upcycled bowl ideas too!